A big part of the story behind this DLC is, of course, investigating a cult operating out of New Bordeaux. “It all starts with Lincoln going back to visit the burned out remains of Sammy’s to get some closure,” explains Senior Writer Ed Fowler. “This felt like the right way to start the story, but also a great call back to an extremely important location in Lincoln's life and the player's experience in the main game. So once we landed on that location, we knew that was it. There was no better place to begin a story like this.” The way it works: After you get to the bottom of what the Ensanglante is planning, you’ll be able to come back to Sammy’s and really deck the place out. All the hard-earned cash earned from your side businesses and whatever you *ahem* get while on the streets can be put into refurbishing Sammy’s to its former glory. 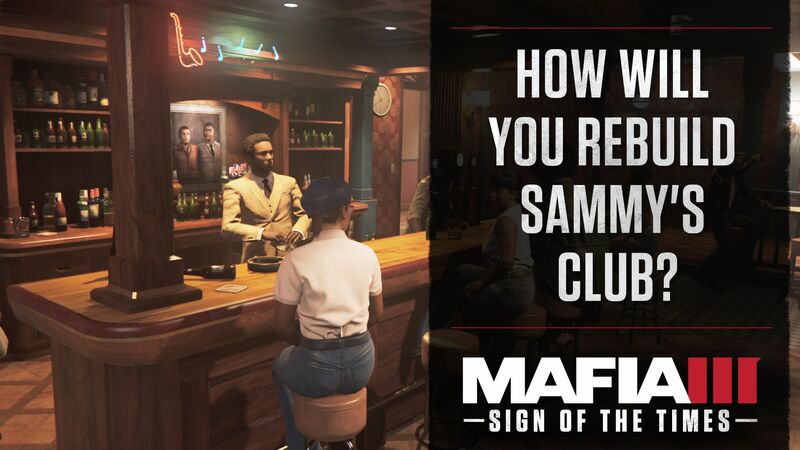 Rebuild the bar, get a new jukebox – put Sammy’s back together just like you remember it from the very beginning of the game. But you can also start adding more to it. Where it gets interesting is that as you need to hire more staff, you’ll start unlocking side missions. Help a drummer out of a jam and his band will perform at your club. Do a favor for someone and they’ll start working your bar. And, a nice perk from helping said bartender: You’ll unlock the Samson Harrier. 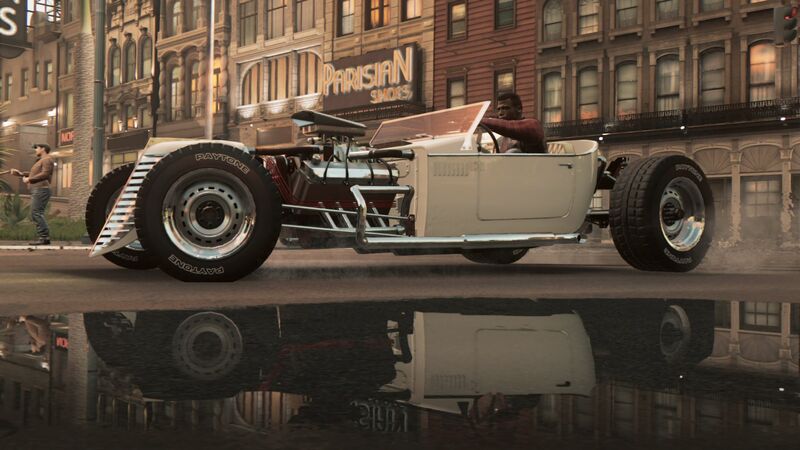 This high-speed hot rod flies off the starting line – and will be a fine edition to your fleet. Provided you can win it in a race. Season Pass Owners: Don’t forget that “Sign of the Times” is part of the Season Pass. Best part, you don’t have to wait much longer – this DLC hits digital stores on July 25, so keep your eyes peeled for more Mafia news on our Facebook, Twitter and YouTube channels.